I am not a big gamer, I like to play off and on, but never really online or in any competition. 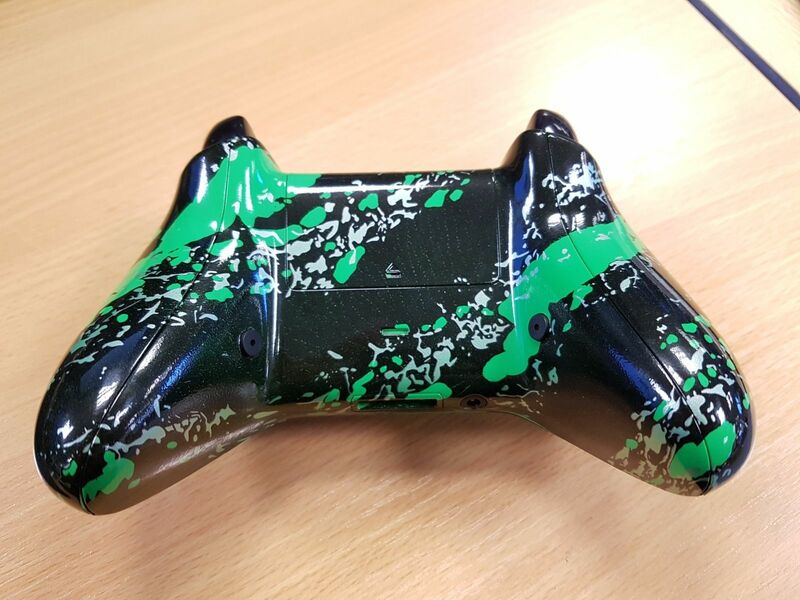 But I was unaware that modded controllers have become more common, and as such means more companies are coming out to meet the demand. Evil Controllers are one such company, and I will be looking at their Xbox One controller. Some of the popular mods for controllers are rapid fire, drop shot, and auto drop. I was suprised to hear that these are competition legal. They have gotten confirmation of this from Microsoft and Sony. The Pro controller I was sent has two really useful features, sensitive triggers and buttons. The latter makes my button presses register quicker, and my most used feature programmable buttons on the back of the controller. I also fell in the love with the paint job they’d given it, it looked awesome. 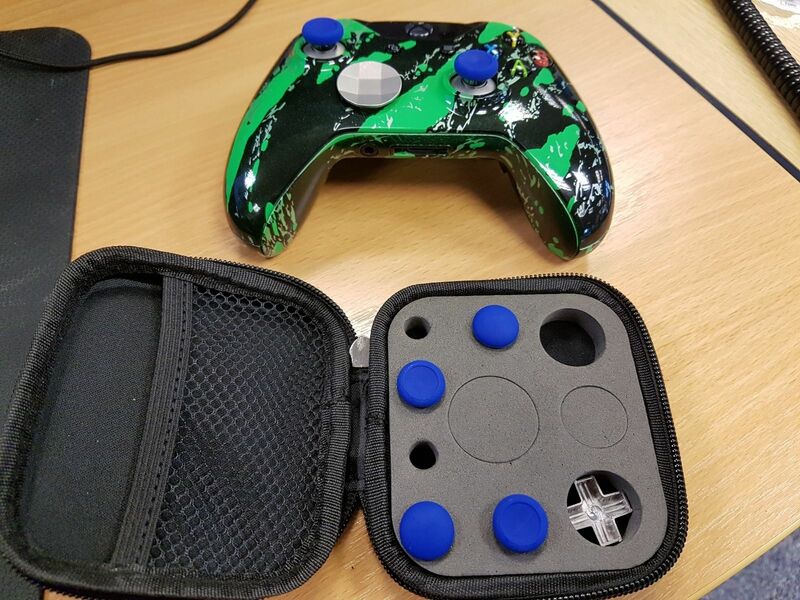 The thumbsticks and d-pad are also removable and come supplied with alternatives. 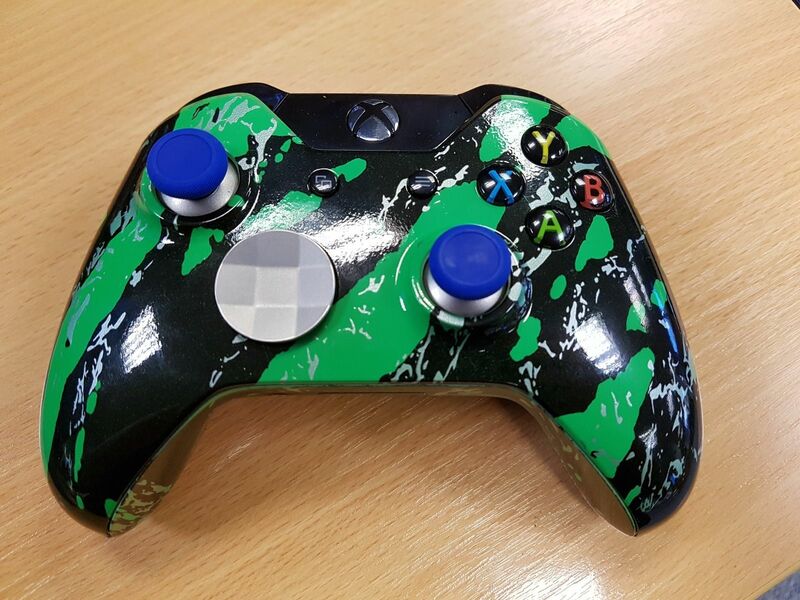 The thumbstick tops are rubberised and add another dimension to the gameplay. You can have two or four, and can be configured to be any button on your controller. This is done by holding down the share button, and your desired button, then tapping the programmable button. This is a quick easy process and can be done on the go throughout a game. They are incredibly easy to access and use, and I tended to use them for the analog stick buttons. The rumble pack has to be removed in order to install the programmable buttons, so the controller will be lacking that, I didn’t even notice if I’m honest. The triggers are great for shooting games, as you only have to brush them and they are activated. Though I found this a hinderance on stealth games, as I found I accidently started firing when hiding behind a bin. Driving games were a lot easier too, as I was able to break and release a lot quicker. This was especially good playing Rocket Ball, as I was able to “dance” around the field a lot easier and hit the ball more. I tested playing the first “stage” of Doom, on a standard controller and then on the Pro Controller. I was hitting shots quicker, and overall was a lot more precise, especially when gaming instinct kicked in and was just shooting with my gut.